According to research conducted by the Urban Institute – there’s evidence that says delaying homeownership may decrease median housing wealth later in life. The numbers point to the fact that buying between the ages of 25 to 34, could mean you have more than $100,000 more equity wealth at the age of 60. The study tracked at a number of people who turned 60 in between the years of 2003 and 2015 to look at how homeownership has affected their finances. The study has shown that people who purchased their first home between the ages of 25 to 34 have a median household wealth of $150,000, while people who purchased their first home at 35 to 44 years of age had $72,000 less. People that waited until 45 or older had median wealth of at least $100,000 less median household wealth than those who purchased at 25 to 34. Those participants that purchased a first home before the age of 25 had the second highest amount of equity at $130,000. It was concluded they didn’t have the highest amount of equity because of this group’s lower income and less education. Even though they didn’t come out as having the most equity wealth, the study did show that they had the largest returns on their initial investment. In 2016, 37 percent of those between the age of 25 to 34 own a home and only 13 percent of those ages between 18 to 24. In conclusion, millennials may face long-term financial penalty by waiting to own homes. 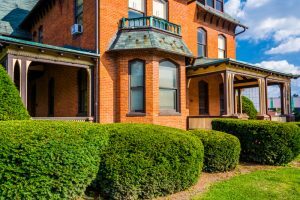 So, if you’re considering whether or not you should purchase a home – you may want to consider this information as you make your decision. And, as always, once you make a decision to become a homeowner – we hope you’ll make us your next call.